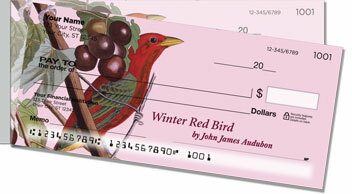 Calling John James Audubon a bird brain probably wouldn't have been an insult. He was obsessed with the winged creatures of North America! Audubon dedicated most of his life to studying and painting the birds he found as he traveled the country searching the wilderness for hundreds of species. 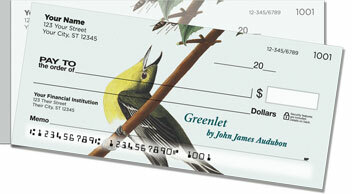 We've featured just four amazing works of art by Audubon on these stunning personal checks. This is an excellent choice if you are a bird-watcher, nature lover, or simply appreciate wonderful art. 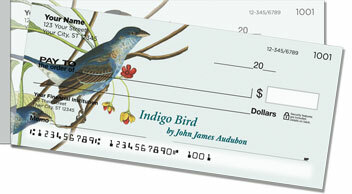 Plus, these checks feature a conveniently shorter perforation on the left side. That means less accidental ripping and fewer wasted checks. 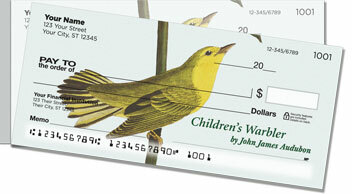 Get your own Audubon Bird Side Tear Checks today! 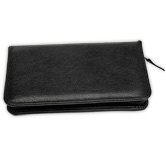 We also offer matching labels and custom checkbook covers.